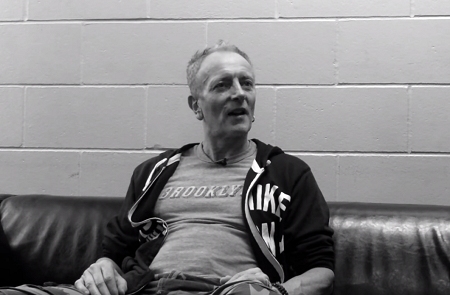 Def Leppard guitarist Phil Collen was interviewed about the new Live From Detroit DVD and the full audio is available. Phil spoke to Jack Antonio of CJIM radio in Montreal on 27th February. Phil talked about the 2017 North American tour, touring/sightseeing, Edmonton show, celebrating 30th anniversary of Hysteria, 40th anniversary of the band, Live From Detroit DVD, the new Tesla album, the Delta Deep live album and new Def Leppard songs. He repeated his recent news that the band will not record any new music until 2018. Phil had mentioned in October 2016 that the band would be working on new music this year. "Yeah, I'm always writing. That's the great thing about, you know, just being a musician I guess. You're constantly coming up with new songs and that. So yeah I never really go, well this is a Def Leppard song. I just write and if something kind of turns out later on you go OK this will be great for Def Leppard. So yeah constantly writing all the time." "A bit soon to say that but yeah for sure we are gonna be working something for next year obviously. This year's kind of done as far as recording for Def Leppard because we're just gearing up to start rehearsals really, but other than that it's, yeah it'll be next year for any new Def Leppard material." "I looked and the ticket sales are great as well. You know we always have a blast there. We haven't been there for a while so really look forward to that." "No, we are gonna do something - Hysteria's 30 year anniversary. So we're probably gonna do something to kind of you know celebrate that. It's our biggest selling album so we're grateful for that. So yeah maybe that one I think." "You know the 40th, it's a bit, it's not exactly tangible. There's kind of, the guys met on a certain date. Sav and Joe did. So it's - but the first album came out in 1980. So that's really, you know, if we were gonna be in the Rock And Roll Hall Of Fame thing they actually take it from your first album. So 1980's the actual date." "It was, it was different. I mean and a couple of things you know. I never get nervous when we're playing or recording or anything, but things go wrong or things will put you off. Like for example we had drone cameras and you know I didn't even know they were gonna be there. And all of a sudden you're looking up, you're doing a guitar solo and this thing's floating around your head. So you're going what?!. So there's a couple of things like that were different. The show was great and there's the odd mistake. I definitely made a few mistakes which again is really cool, you know, if you're gonna do a live thing, it's kind of cool having that stuff in there." "The reason that we actually chose that was because it was the first date on the tour to sell out. So it was kind of symbolic. It was like you know if you can be that rabid with ticket sales then perhaps you'll be that rabid on the night if the show. And they were, they were great. Detroit has always been wonderful to us anyway, so yeah that was a no brainer choosing that one." "Absolutely yeah, we're actually just finishing it off. Actually I'm - this weekend I'm doing a string session. They're doing strings on one song. A friend of mine's playing killer piano on another song. We've got like two lead vocals to do. So the rest of it's almost done. It actually sounds incredible. The phrase that keeps coming up is it sounds like a rock version a rock version of Sgt. Pepper. So we're, everyone, the band and me, we're just hyper excited about it." "We recorded it last year actually. We had it in the can. We was trying to get it out for the end of this year. Last year sorry, but that didn't happen. It's just the way things turned out. So yeah it's a lot of the stuff from the first album obviously. And if anyone's seen us live you know we do the odd Zeppelin song." "We're actually about to start work on our second studio album as well. So I kind of, I don't get any time off really. It's like constantly, constantly busy, but I love it, it's pretty exciting."